Improved drag-and-drop support for your Mac. Is there a better alternative to DragonDrop? Is DragonDrop really the best app in System category? Will DragonDrop work good on macOS 10.13.4? 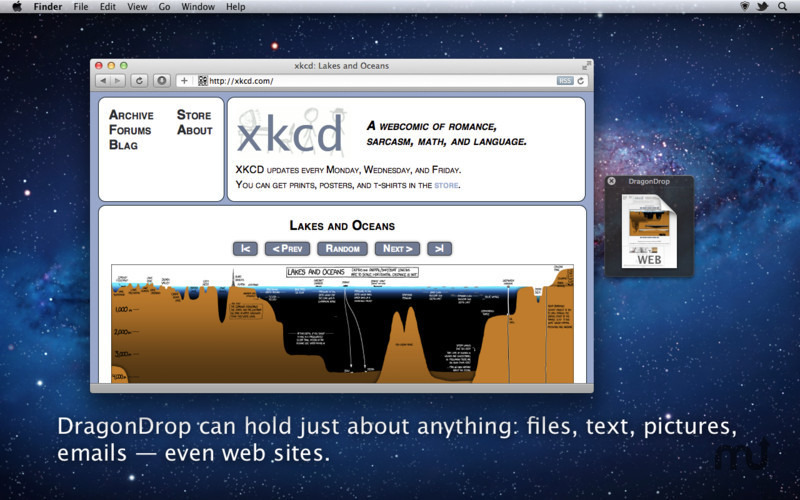 DragonDrop improves drag-and-drop support for your Mac. Dragging and dropping is a great way to get stuff done on your Mac, but DragonDrop makes it even better. DragonDrop lets you set down what you're dragging, leaving you free to find your destination without worrying about keeping the mouse button held down. Drag files, folders, photos, text, and even entire Web pages. DragonDrop can handle just about anything you throw at it. Decreased likelihood of false-positive activations when using Microsoft Word, iTunes, and BBEdit.